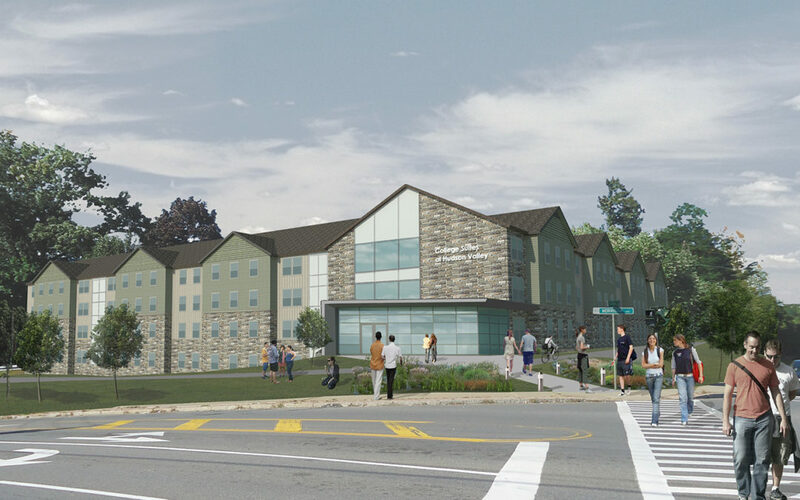 Troy, NY – Hudson Valley Community College (HVCC) has chosen Michael J. Uccellini and United Group to develop a student housing community at the corner of Morrison Avenue and Vandenburgh Avenue in Troy, NY. Located within walking distance of the HVCC campus, the proposed plans for College Suites at Hudson Valley will house 268 students and also feature a fitness center, laundry facilities, bike storage, and on-site management offices. Each of the 72 apartment suites will be fully furnished and include all utilities. United Group has developed a similar student housing community across from Schenectady County Community College (SCCC). College Suites at Washington Square is a 264-bed apartment community located directly across the street from SCCC. Additionally, United Group has developed 10 other student housing properties across New York State and has managed close to 5,000 student beds. Troy, NY-based The United Group of Companies, Inc. has been developing, building, and managing student housing communities for 15 years. United Group also has impressive portfolios in independent senior housing, multi-family apartment communities, and commercial leasing. About The United Group of Companies, Inc.: The United Group of Companies, Inc., headquartered in Troy, NY, is a nationally recognized, award-winning corporation with over 40 years of experience. United Group has become known for its successful development, acquisition, repositioning, and property management for a variety of real estate assets, including student housing, independent senior housing, multi-family rental housing, commercial offices and mixed use developments. The company has developed more than two billion dollars of successful real estate projects, and has approximately 200 employees across approximately 40 assets in New York, Georgia, and Florida.